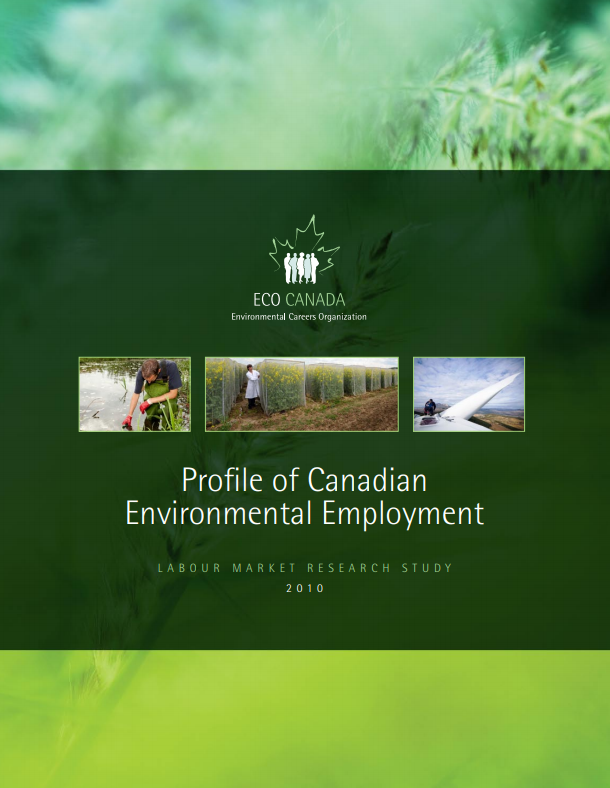 Profile of Canadian Environmental Employment is a series of reports that feature a detailed assessment of Canada’s environmental workforce, the key characteristics of environmental industries, and the future demand for workers. Surveys are the primary methodology. These reports are a must-read for job seekers, researchers, educators or students. Their contents offer vital information on the major trends and opportunities for environmental careers in Canada.